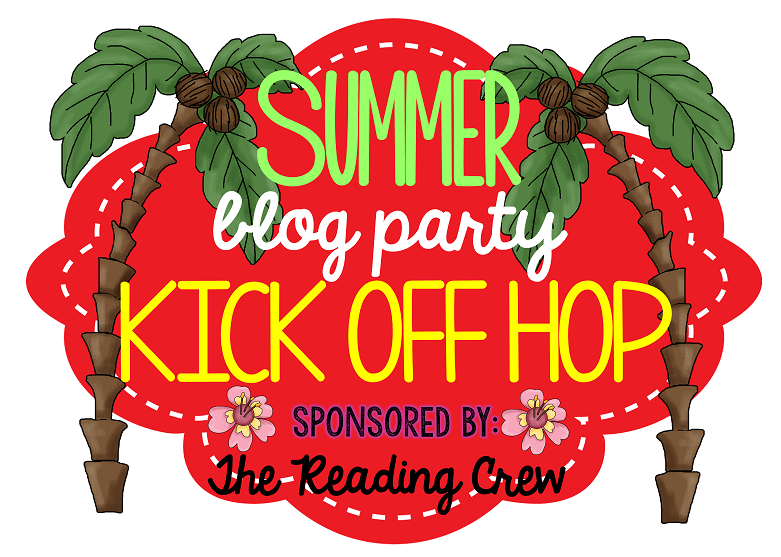 BigTime Literacy: summer blog party! Hello friends, teachers, and parents! Welcome to BigTime Literacy! 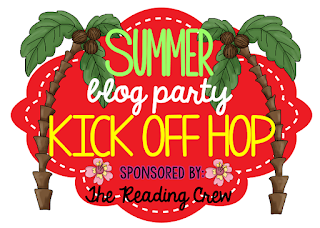 The Reading Crew is bringing you a great blog hop today with tons of ideas for supporting our kiddos literacy development during the summer...and freebies! 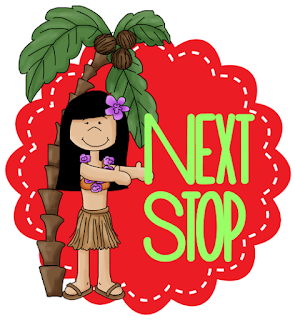 Then, we'll be back on Wednesdays for weekly linky parties to share reading and writing strategies. 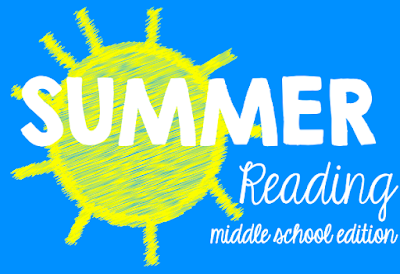 We hope you'll join us each week for that, but for now, let's get to one way that you can help your child beat the Summer Slide: reading lots of great books! I've already finished brown girl dreaming and Out of My Mind. 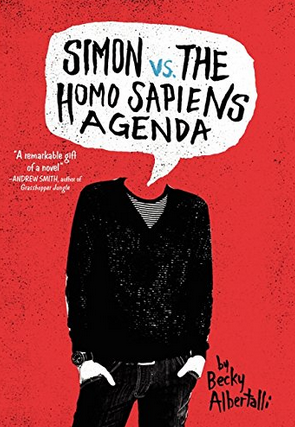 That being said, I have a freebie for you - a recommended reading list for middle school kiddos! 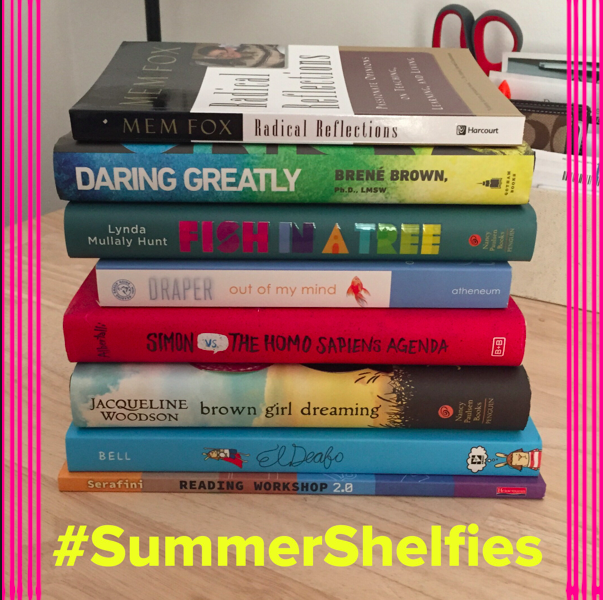 We'll get to the download in a few, but let me share a few of my absolute faves for middle school kids. These are tried and tested with kids and always get a big thumbs-up! I always loved reading this book to my middle school kids - the scene on the Hot Seat is awesome and the voice I used for Hillary Kimble makes her sound like the brat of a cheerleader she is. Your kiddo will love this story and hopefully, will walk away from it knowing it's okay to be you, no matter what that means. 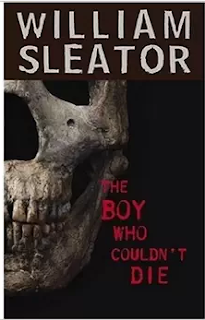 Sleator, a recognized master of sci-fi and horror and a favorite of reluctant readers, is a paperback powerhouse, with more than 600,000 copies of his novels sold in softcover. Here he gives fans a spin on the classic zombie story, following sixteen-year-old Ken as he bargains with a psychic to gain immortality, only to awaken one night with blood-spattered clothes and the realization that he's sold more than his soul. I actually haven't read this, but I would always give it to the guys in my class who had a hard time finding something they clicked with, and this book would get them every time. My copy is warn and the cover is ratty, but it will hook anyone - pretty much just on the cover art and title alone. Have your kiddo give it a try! I came across this one the last time I had been teaching eighth grade and loved it - and so did my students who were animal lovers! This book follows the soul of a dog who is born, lives a life, and then is reborn to a new body. 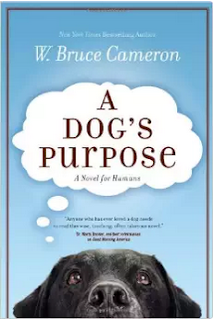 With each life he lives, he learns new things and impacts the families that love him in different ways. This book is beautiful and I highly recommend it! This book came to my attention via Twitter, and I think from someone who writes over at Two Writing Teachers. I just started it yesterday and am already halfway through! Simon is the narrator, and in such a hard position because someone read one of his emails and now is asking for a favor in return for keeping his private information confidential. The chapters alternate between Simon narrating and emails between Simon and a secret friend, Blue, who is also gay and hasn't come out yet. The book is peppered with mature language and engaging high school conversation and so cute. Highly recommended for those older readers! 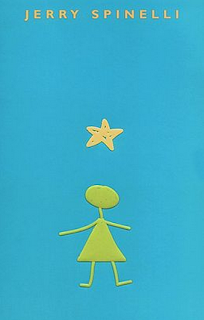 What are your favorite middle-school level books to read? 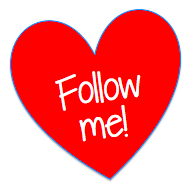 Please leave me a comment below and let me know! If you like what you've read here, be sure to follow my blog! You can also find me on Twitter, Facebook, and Instagram. Let's get connected! After you grab your freebie, head on over to Growing Little Learners and grab some writing ideas from Pixie Anne! I LOVE Star Girl! Thanks for sharing! Oh my gosh! This post reminds me of "The Book Whisperer". I think you are her twin! I will keep these suggestions in mind as my son approaches middle school. Great post. I adore STARGIRL! It is one of my favorites! I am heading to the bookstore and library to find some of these other amazing suggestions! Thanks for sharing, Michelle! Great list! a five for friday book review!